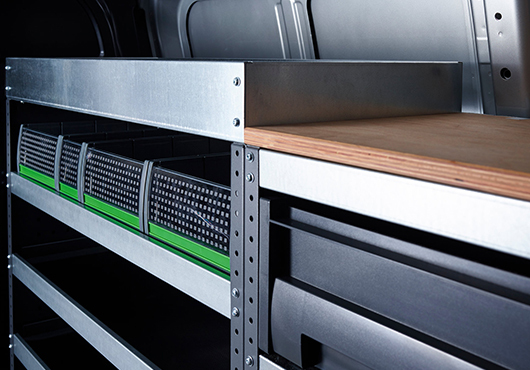 Experience Bott, the innovative storage and shelving unit. Built with skilled German engineering, Bott presents both efficiency and safety in a strong clean design. Providing multiple solutions to better suit the various trades, Bott creates order in what can be an otherwise cluttered and hazardous working environment. 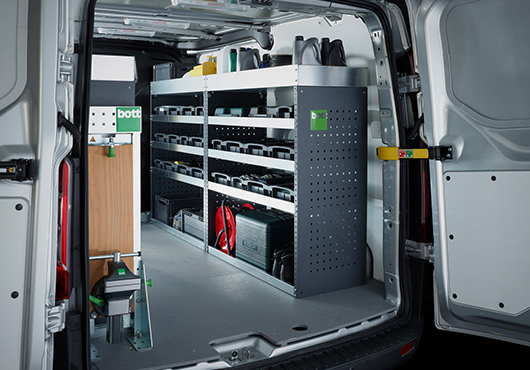 The requirements of a commercial van depend on the trade, making a single solution unrealistic. 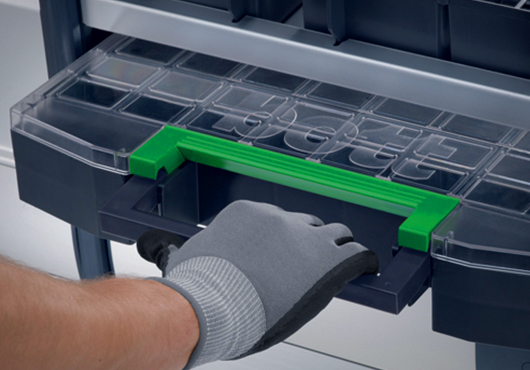 All basic elements in the Bott range (cabinets, side panels and base units) are equipped with the Bott Multi-Function Grid. This provides the freedom to combine all functional parts (drawers, trays, shelves, brackets) with one another. Allowing the customisation of the workspace to suit not only the trade but the preference of the worker. The material of a product’s construction proves it’s integrity over time and when accidents take place. Bott constructs all it’s units from galvanised steel, making it a robust and durable addition to the vehicle. Capable of handling the treatment brought on by strenuous everyday use, the high-quality components keep tools and other utilities safely secured in a unit designed to last the lifetime of the vehicle. With the many different trades, Bott designed multiple storage and shelving solutions to meet the demand of each one. To meet the personal preference of each user, they designed accessories. 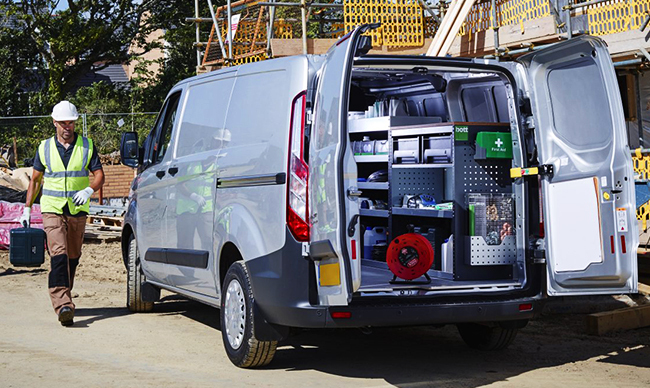 Featuring a range of accessories including tool boxes, shelves and dividers, tie down straps and fire extinguishers. Each accessory is designed to fit with the Bott Multi-Function Grid, to mount easily or to fit cleanly into the pre-established shelving of the unit. 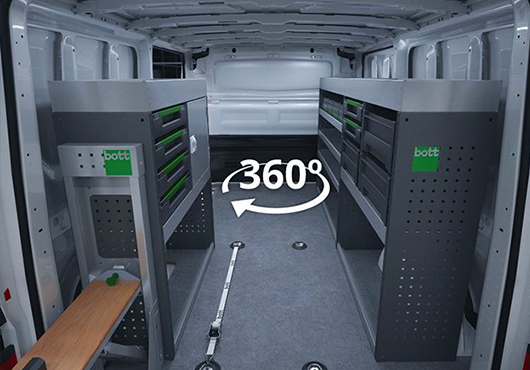 Take a virtual tour of the Bott Storage System for vans. Featuring a range of components available, this solution provides insight into what can be expected from a Bott solution.